Side profile. 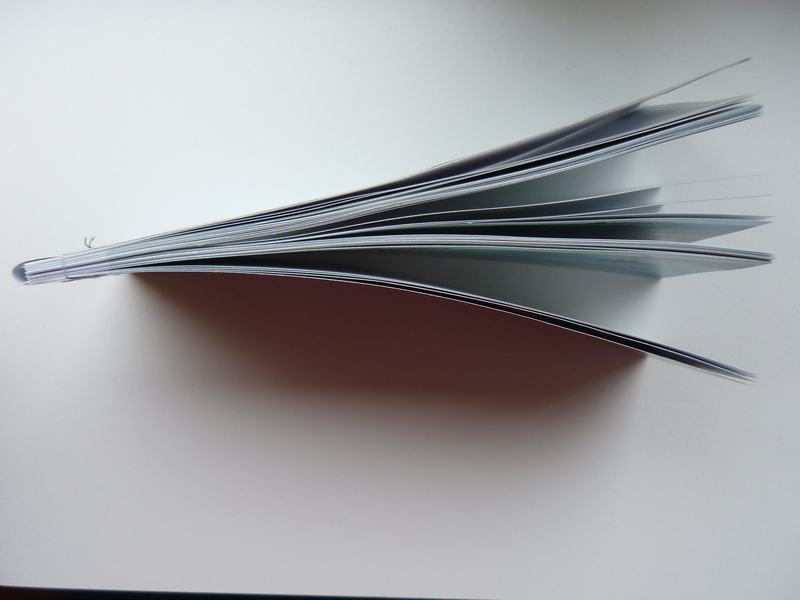 32 pages really isn’t very thick. An open page, the page texture and thickness are quite good saying it’s lulu’s standard paper. Front cover, it has a glossy front to it. The pages inside follow onto one another nicely and I can’t see any faults when it comes to important information getting lost inside the centre fold. From above it is very thin. 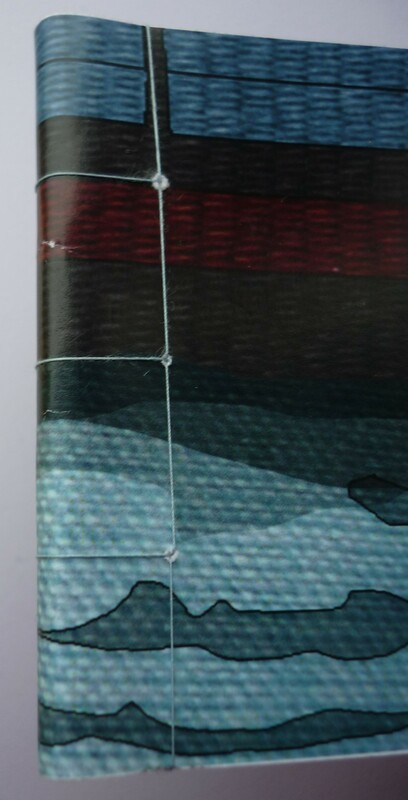 I think it is slightly too long and so it is hard to get a smooth run when flicking through each image. 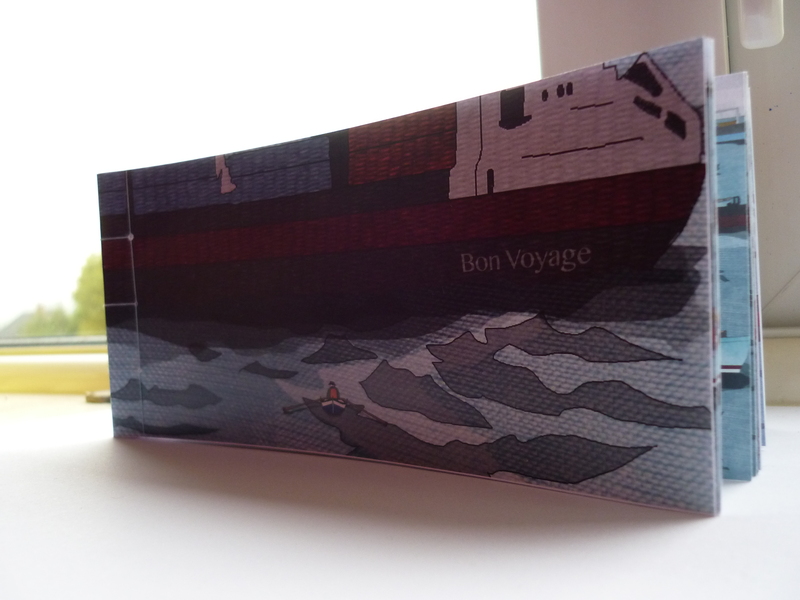 However, I made it by printing off all the individual images whilst leaving a slight white gap for the binding. I then wanted to practice binding using sewing as the last time I had ago was in college. I chose stab binding which is an old Japanese technique to bind books.Using these instructions: http://www.booklyn.org/education/stab.pdf, which are easy to understand. 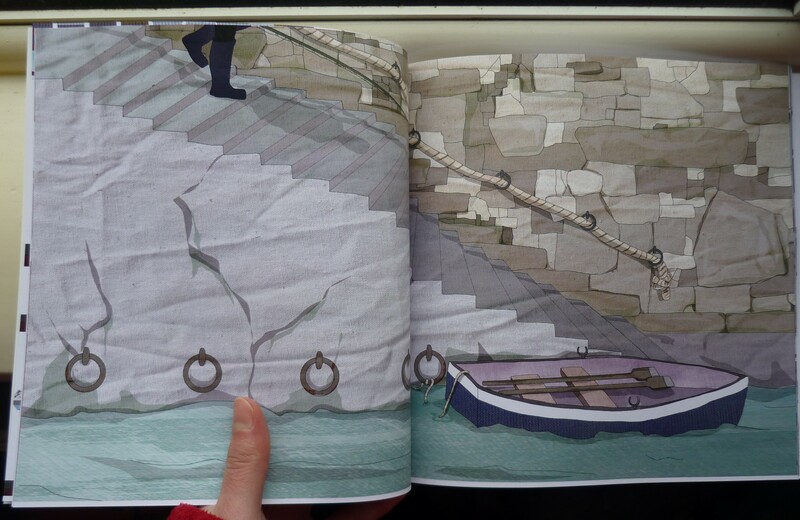 It was quite fiddly and I had to be careful not to rip or split the pages but I eventually did it. 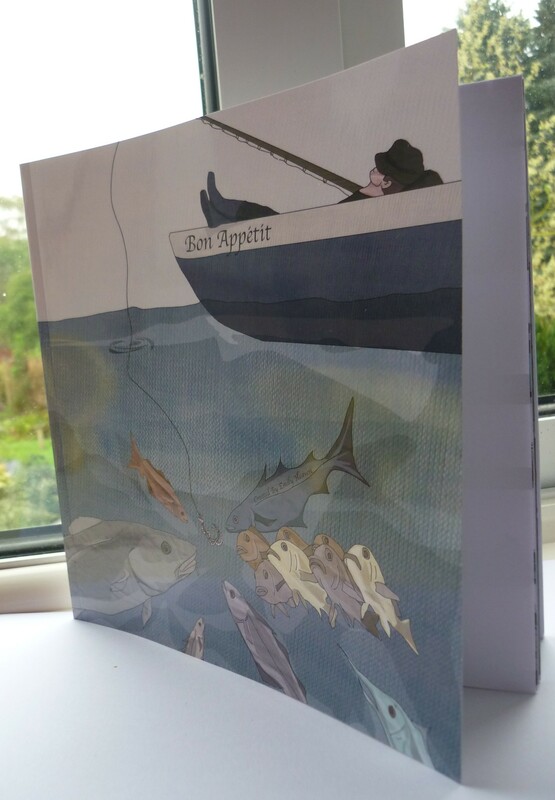 I placed a thin bit of card on the back to give the book some support and wrapped the front cover round as well as using a light blue thread to go with the water/sea theme. I didn’t cover the binding with the front cover as I think the look of it is quite stylish and I like it how you can see how it was made. Over the course of the year I would ideally like to try out some more techniques in book binding, this would broaden my knowledge in this area and may help me to design more aesthetically pleasing books rather then picking perfect bound all the time. 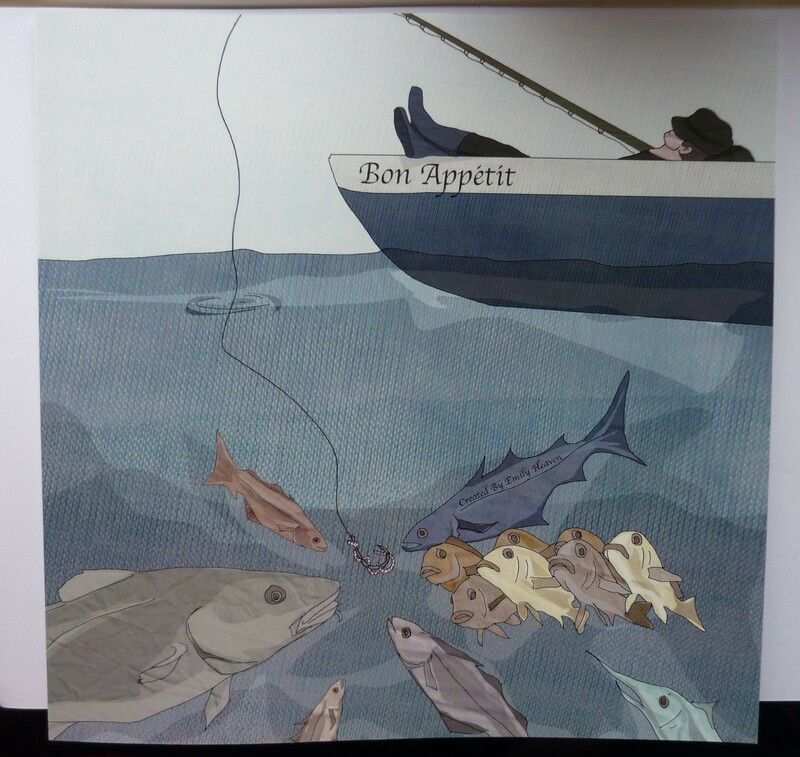 Now I am currently updating my sketchbook and I have placed the flats for Bon Appetit within my portfolio. This entry was posted in Delivery.